Dionne Warwick has nothing but good things to say about Bobbi Kristina Brown. Just hours after E! 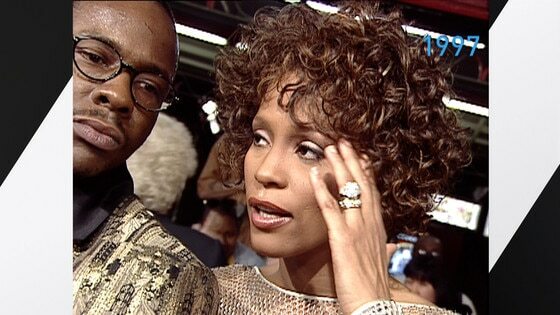 News confirmed the famous daughter of Whitney Houston and Bobby Brown had passed away, Warwick followed through with her appearance on Watch What Happens Live. As one could have guessed, the tragic passing of Bobbi could not be ignored on live TV. When host Andy Cohen respectfully asked the singer what she wanted the world to know about her family member, Warwick didn't know where to start. "Oh my, do we have enough time? She was a sweetheart and she will be missed that's for sure," Warwick revealed while staying strong. "And she was a good girl... She was a good little girl, she really was." After grieving over the loss of Whitney, Andy then followed up with how the family copes with sadness. Turns out their religion keeps them moving forward in the bad times. "It's not easy that's for sure. I think it's because of our faith and strength in our faith," she explained. "Knowing that Bobbi is now with a much, much bigger and powerful person or thing that we'll ever know. She's in much better hands now." On Sunday evening, E! News learned that Bobbi had passed away at a hospice center in Atlanta. "Bobbi Kristina Brown passed away Sunday, July 26 2015, surrounded by her family. She is finally at peace in the arms of God," the Houston family said in a statement to E! News. "We want to again thank everyone for their tremendous amount of love and support during these last few months." Our thoughts and prayers continue to go out to the family.